Even at an early age, it was clear that Dr Sheryl Fulop would spend her life helping animals as she was constantly bringing injured and homeless animals home for nursing care. She received her Bachelors of Science degree from UCLA in Psychobiology, a Masters Degree in Cellular Biology from Cal State Northridge and a Doctor in Veterinary Medicine from the University of Minnesota. She also enjoys spending time with her thoroughbred racehorse foundation. 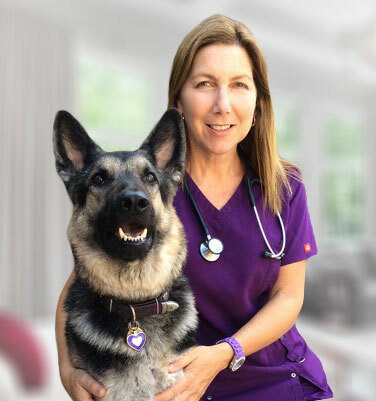 Dr Sheryl Fulop has been practicing small animal veterinary medicine in Calabasas, The Conejo Valley, and the Greater Los Angeles area for 21 years. A primary factor of our success is that we think of our clients and patients as part of our family, and they consider us part of theirs. At In Home Pet Vet, we strive for excellence in patient and client care.